Proper estate planning is a necessity during the present day. An uncertain economy, rampant shifts and updates to the U.S. tax code that effect estate taxes, and certain estate tax exemptions that are soon to expire heighten the need for effective estate planning more than ever before. 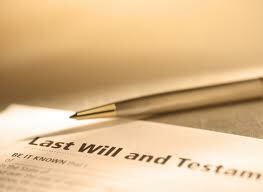 If you are planning on leaving a well tended to estate behind for your loved ones – as opposed to a messy estate that is siphoned by over taxation and held up in probate limbo for years upon end – then proper estate planning with an estate planning attorney like Joe B. Garza is essential. Estate taxes are among the highest form of income taxes that exist in the U.S. and fall under the capital gains tax code. If improperly planned, a large portion of your estate could go directly into the IRS’ coffers. With a properly planned estate, more of your hard earned wealth can be passed on to your family and charities that you designate. Estate planning goes beyond just reducing tax liability. It’s also about protecting your wealth. When you plan your estate properly, you can safeguard your wealth against liability that stems from lawsuits and creditors. It’s never too late to protect your legacy. You spent a lifetime earning it, and it should go where you intend for it to long after you are gone. With estate planning, you decide to who and what your estate is distributed. This allows you to meticulously plan how your estate is divided up after you are gone. By protecting your estate and preplanning, you can give more to your loved ones. Considering that your wealth has already been taxed (when you earned it), why pay more than you have to. By properly setting up your estate, you can ensure that more of it reaches your loved ones. A properly planned estate can last for generations. This ensures that the financial future of your family is never in question. With some good estate planning now, you can ensure the future of your legacy. Learn more estate planning and asset protection tips by Joe B. Garza.